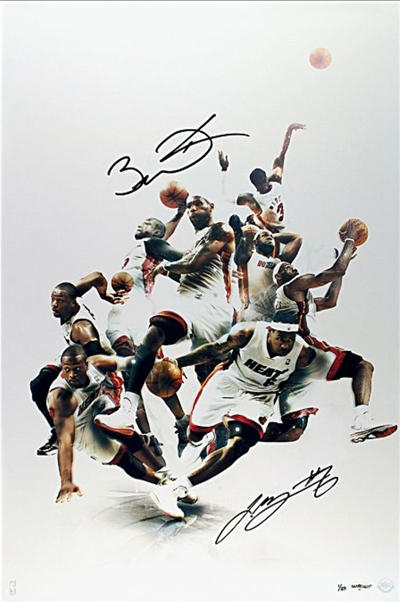 Three NBA Finals appearances and two NBA titles in the last two years have collectors buzzing for collectibles from members of the Miami Heat. There have been some amazing moments since “the Big Three” came together and the best way to remember those special moments that give you goosebumps is to collect them. So I put together three different lists that give you some great ways to collect the best of the Miami Heat. Most of these items you can find through hobby shops, collectibles shows or on eBay. 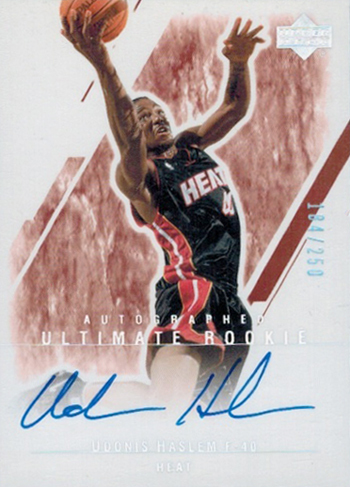 Trading Cards – When it comes to trading cards for the Miami Heat, it’s important to remember that companies like Upper Deck produce a variety of different types of cards to cater to a variety of budgets. If you wanted to put together a set of some lower-end LeBron James, Dwyane Wade and Chris Bosh rookie cards, you can certainly do that, but I wanted to show off some of the best. Believe it or not, some of these cards (especially of LeBron James) can sell for five figures and cost more than a car given their limited nature and the high-demand for them. 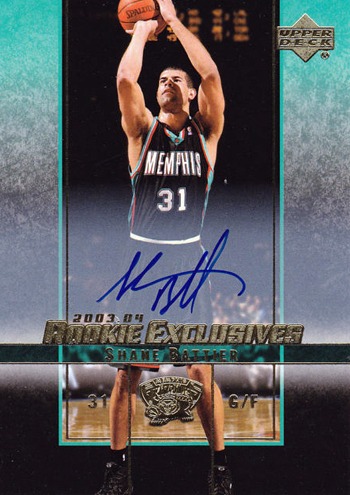 You can grab rookie cards of Mike Miller for relatively cheap and that’s not a bad idea considering the quality minutes he played in Game 3. Norris Cole is an impressive young rookie who had some clutch three-pointers in Game 4 for the Heat. 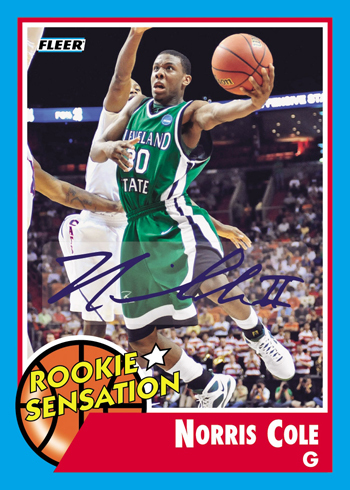 Look for one of his first rookies in 2011-12 Fleer Retro Basketball this summer with some rare autographed versions! Mario Chalmers has been incredibly clutch for the Miami Heat during this playoff run. 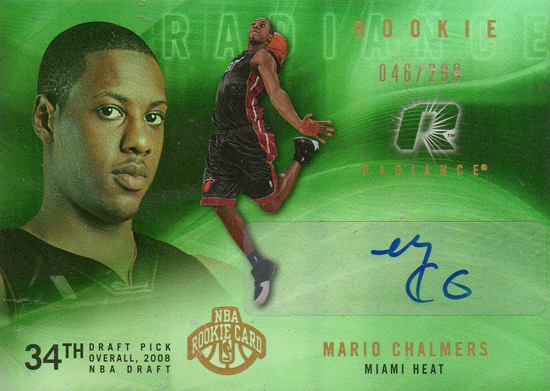 I love his Upper Deck Radiance signed rookie card that can be had for less than you would expect. Shane Battier has been an incredibly key component to the Miami Heat team this season. He is another player that will not break the bank for you if you are looking to pick up signed rookie cards of him. Udonis already has a NBA title with teammate Dwyane Wade and would love nothing more than to grab another in 2012. His signed rookies will also not break your bank to collect. Now here is where prices for rookie cards take a huge jump. 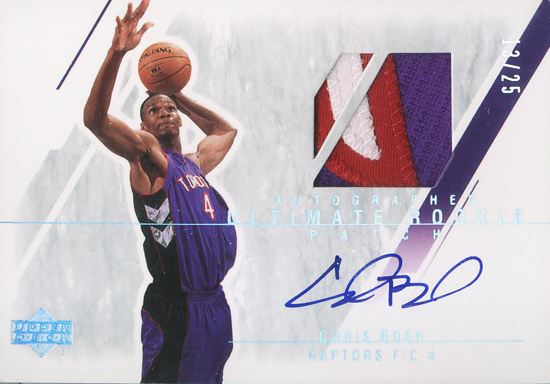 Here is a very nice looking Chris Bosh Ultimate Collection patch card from his rookie season, but the prices on most of these cards are in the hundreds of dollars. 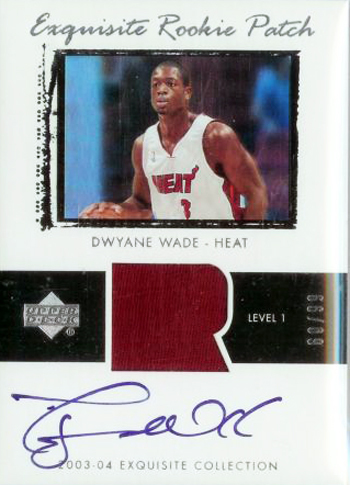 You’re looking to shell out at least $5000 if you want to take home one of Dwyane Wade’s most prized rookie cards from 2003-04 NBA Exquisite. If the patch is multi-colored or in great condition, you could pay as much as twice that! And here is the biggest card of them all and one of the most expensive modern-day trading cards in the world. 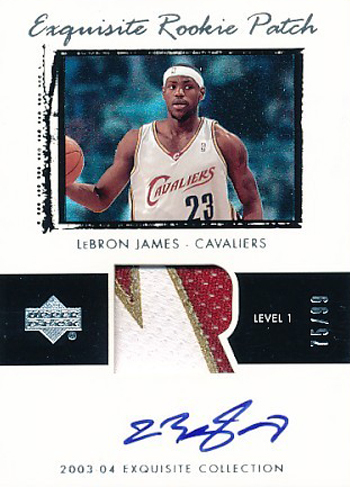 It is the 2003-04 NBA Exquisite LeBron James autographed patch card limited to just 99 copies and it routinely sells for five figures. You’re gonna need to refinance your house most likely if you want to score one of these! 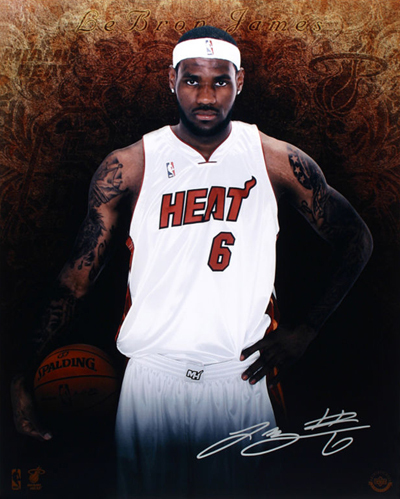 Autographed Memorabilia – When you are looking to make an investment in signed memorabilia, the two most important things to remember is that you are getting the real thing and a quality collectible. 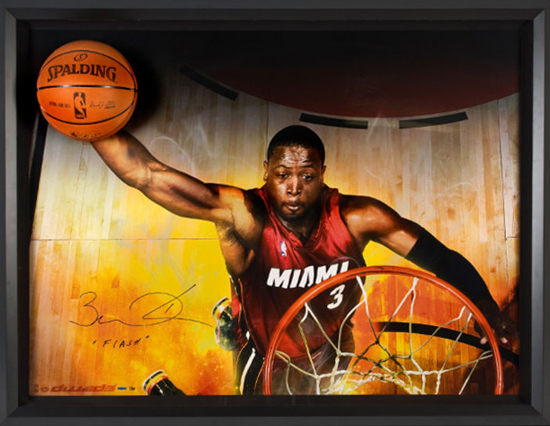 Upper Deck Authenticated works directly with top stars like Dwyane Wade and is the exclusive home for signed items for three-time NBA MVP LeBron James. 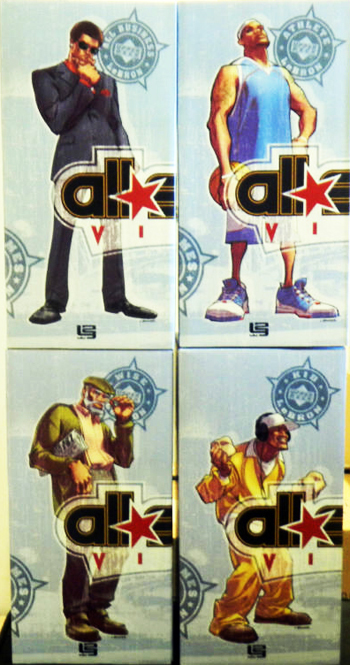 And the product UDA makes are some of the most beautifully designed, high-quality collectibles in the market. Take a look at some of these stunning pieces! These are some of Upper Deck Authenticated’s most popular collectibles as they really are a talking piece. The basketball actually breaks through the glass giving it a three-dimensional feel. This piece debuted shortly after LeBron arrived in South Beach and has been a fan favorite due to the unique layered design. If there’s one thing LeBron can do, it’s dunk. 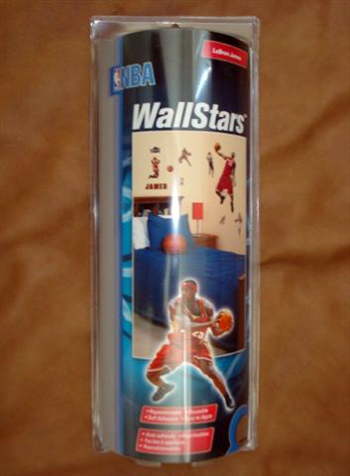 This filmstrip collectible shows LeBron James going through the process of another dynamic slam! 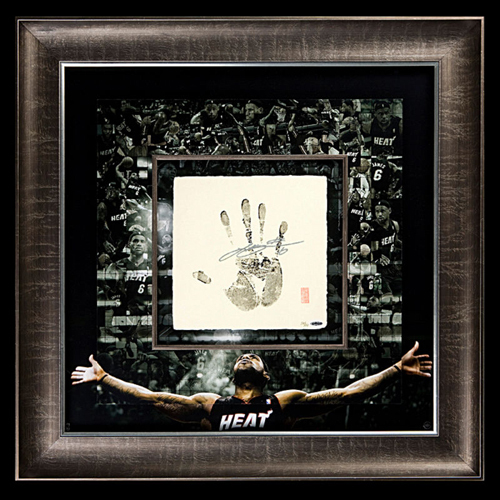 This is one of the most impressive collectibles UDA has ever brought to the market as it features an actual hand print of the 3x NBA MVP along with his signature. A collage of images from LeBron’s career is shown in the background. 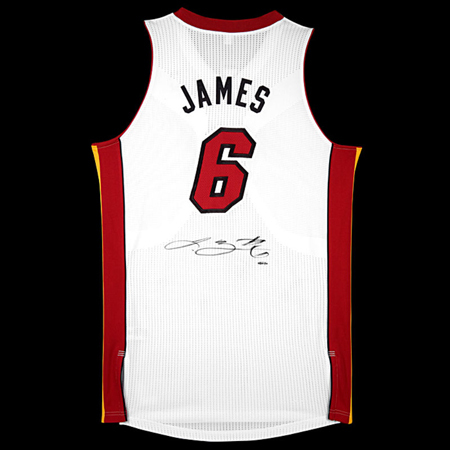 What Miami Heat collection is complete without an authentic signed jersey from LeBron James? This is another piece that will get people to stop and stare. 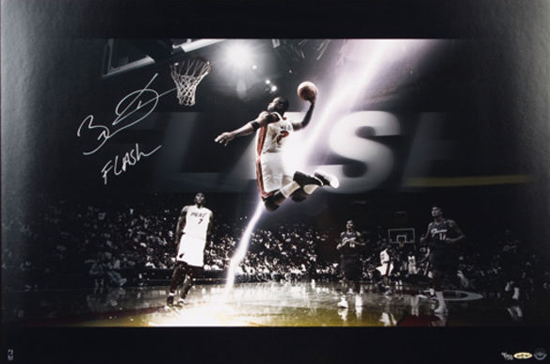 The UDA design team really scored with this unique collectible featuring signatures of LeBron James and Dwyane Wade. 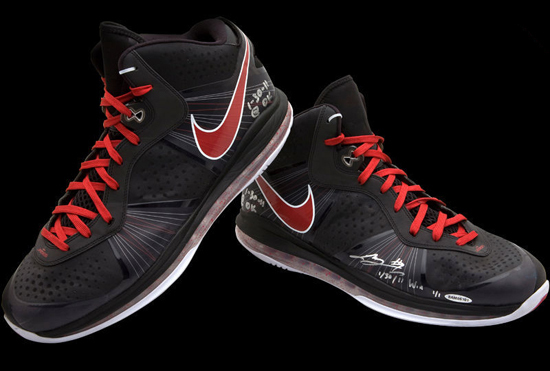 From the game in November 2011 where the Heat edged the Oklahoma City Thunder in a NBA Finals preview, we have the shoes LeBron James wore in that game and later signed, WOW!!! 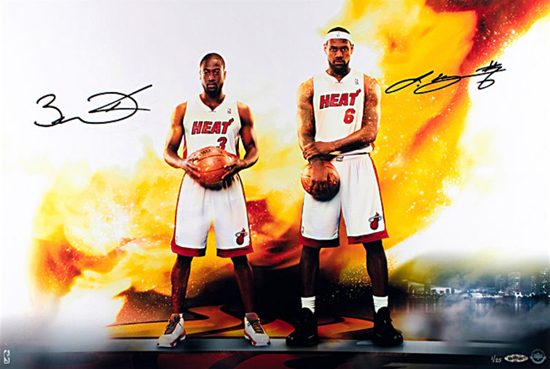 If you can’t stand the Heat, get out of Miami… This is another stunning photo featuring LeBron James and Dwyane Wade’s authentic signatures. Sports Collectibles – There is certainly no shortage of interesting collectibles in the market that are both licensed and unlicensed. Some actually can be quite collectible and valuable in time. Others are just fun items to show your love for a particular team. Enjoy some of our favorites like toasters, year books and wall decals. 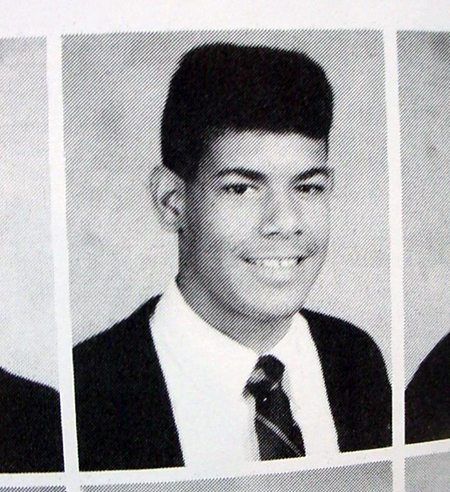 Did you know you could own Shane Battier’s yearbook? Now that is a unique collectible! 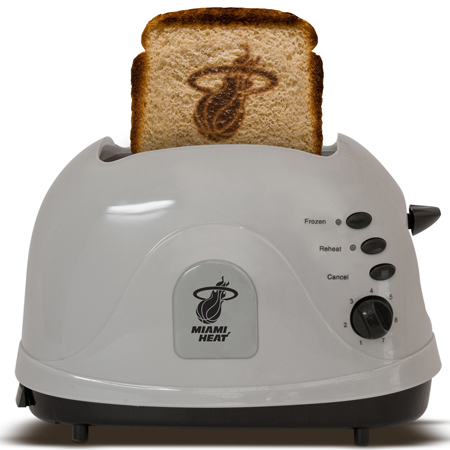 Hungry for a NBA Championship? Then this is for you! 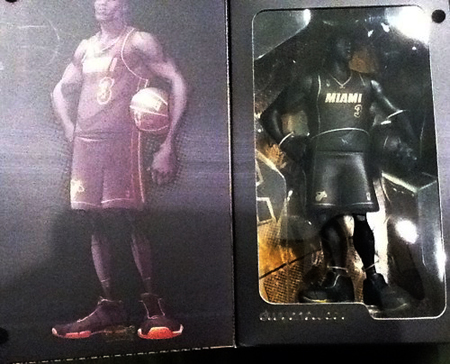 Remember Nike’s commercials with “Wise LeBron” and “Kid LeBron?” Well UDA created some collectibles based on those characters that can be found on the secondary market. There were some rare “black” versions of the All-Star Vinyls that remain very collectible selling for over $100 in some cases. 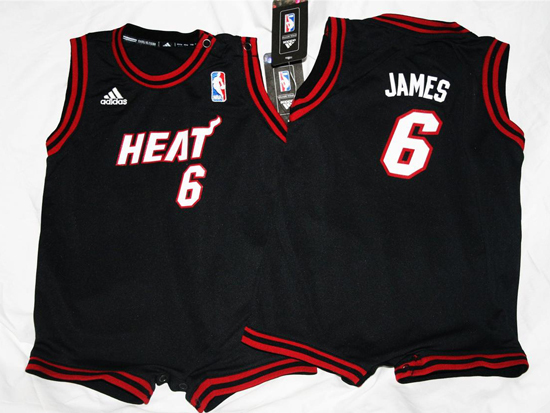 How about one of these for the ultimate Heat fan? Probably not the best idea to put up if you are dating however. 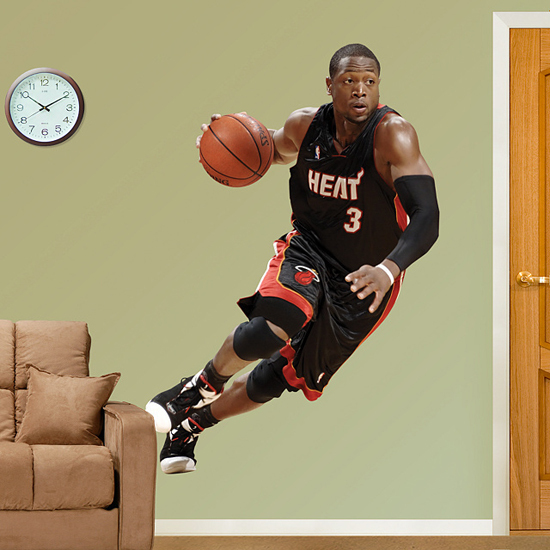 There are some smaller wall decals out there that take up a little less room than Fatheads (actually a lot less) that are great with kids as well.